When you're deciding on what camera gear to buy next, you may think about this body or that lens that will push you to new creative limits. 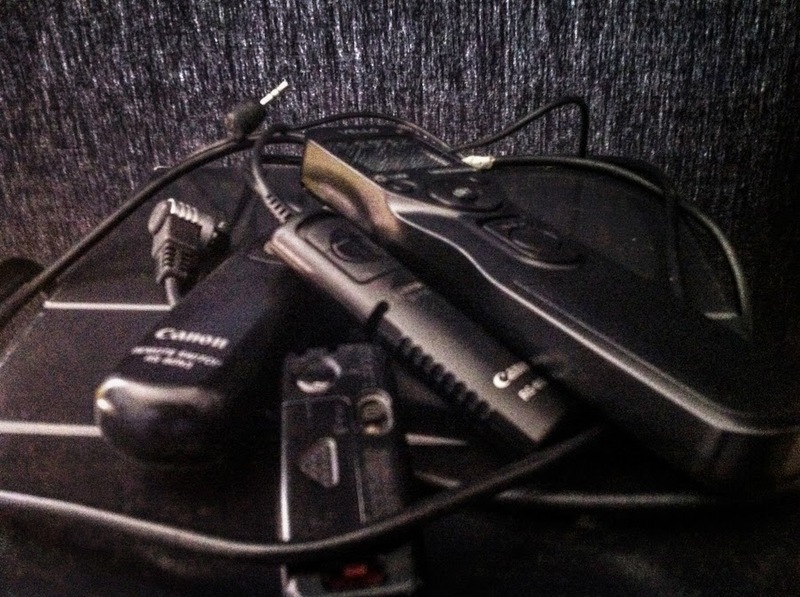 But it's often forgotten, the little things that are used behind the scenes that help to make sure the shoot you're at runs smoothly! This is a small collection of some of my favourite BTS (behind the scenes) camera gear that in retrospect - I don't know how I lived without. "There are many like it but this one is mine". You can find a few varieties of these. I use the DotLine ones. Gone are the days when I used to fumble through a bag full of AAs, slightly worried that their contacts would be touching each other in it, and I'd one day be reaching into a bag of leaked battery acid. Not to mention the extra baggie I'd have to keep with me for the drained batteries. 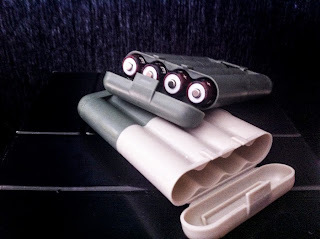 The AA battery organizer does just that - keeps them organized - and in sets of 4. Conveniently, thats exactly how many batteries I need every time I change them in my speedlight. 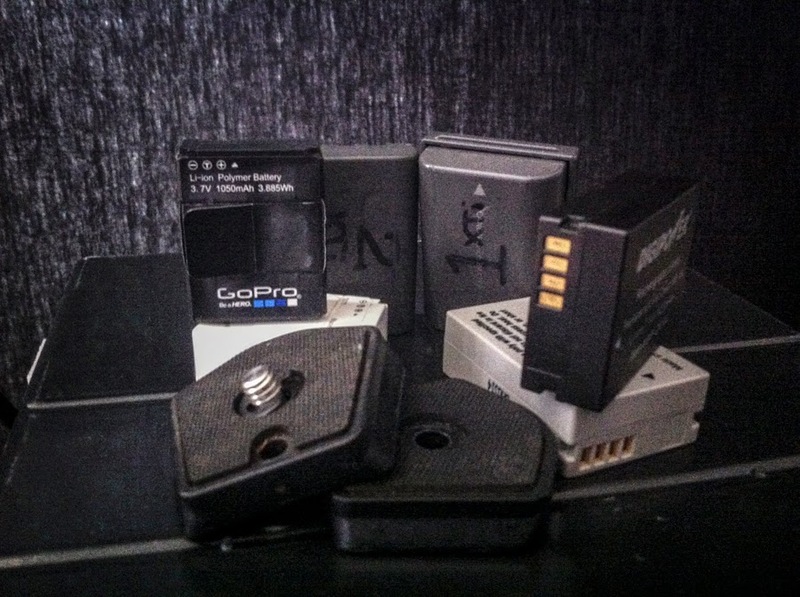 At first I considered keeping green for good batteries, and the white portion for emptied ones - but that means wasting 50% of the space they are packed in with emptiness. So now, I keep the positive (+) side of the battery up for full, and the negative (-) side up when they've been emptied. After all, us photographers are usually visual people, so visual cues are very helpful. So if you shoot with speed lights a lot and don't have anything like these, at $5 a pop - get on it! The memory card is like the renewable canvas we use as photographers. It makes sense to take care of them. 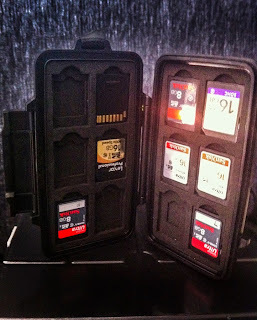 I never liked keeping them all jumbled up in their little soft sided case, but for lack of a better option - that is exactly what I did. That is, until I happened upon the pelican card organizer. Since my new camera is SD cards, and thats what I use mainly now, I got the SD card version, but there are other ones, like CF and SD split, or entirely CF, etc. This case already saved my cards once in the three months I had it - had a wave creep up on me at the beach in Mexico and it drenched me and my backpack. Luckily my cards were in a water resistant case so I had nothing to worry about - so I could focus on drying off my 6D that was hanging around my neck. (It survived too). As a helpful tip for anyone who buys one - I keep labels facing forward for cards ready to use, and contacts facing forward for cards that are filled - again with the visual cues. This is one of those things that can really change the way and what you shoot, along with the quality of those images. Why can it change what you shoot? Those without remotes can't really venture into the realm of long exposures using bulb - aka, longer than thirty seconds for most cameras because going longer than 30 seconds with your finger on the trigger will mean some pretty serious vibration translating into sharpness issues. It can change the quality of those images because you are now reducing vibrations induced by your hand - even with perfect 'shutter button squeezing technique' you are moving the camera more than you need to. Less vibrations equal more sharpness. It can change the way you shoot because now you can be in front of the camera and still trigger it - imagine that - 'selfies' that don't look like your standard selfie. Using a wireless remote you can put enough distance between you and your camera to become the subject in a landscape photograph, or anything else for that matter. Some remotes are intervalometers as well, which means you can pre-program the remote to release the shutter at pre-determined intervals, which is how a lot of time lapse photography is done. So there really is a world of possibilities opened up when you get a remote trigger. Firstly, this is kind of an 'all-encompassing' category. So having a spare body or spare lens may not always be economical or possible for most, I won't talk about that. What is worthy of mention is having a spare baseplate for your tripod, and a couple spare batteries most especially (!!!) for your camera. What is worse than being out for the most gorgeous sunset you've ever seen and having your camera battery die right before taking your next thousand-dollar* image? -- Not having a spare battery to replace it! 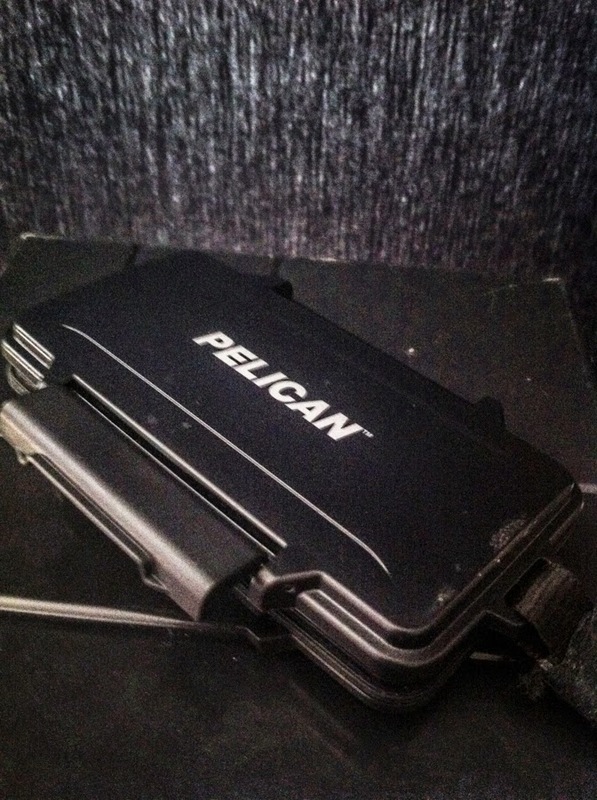 Now for the case I'll make for extra tripod baseplates. Lets say you're at an architectural shoot (read as; often indoors, and just as often, poor light equaling longer than usual exposures) and you're capturing a mix of details with a normal focal length, and the spaces they sit in with a much wider focal length? If you only use one camera body, then I guess you have to change lenses all the time. But if you use two - it's probably because you're avoiding changing your lens, and if you're avoiding that, do you really want to be changing your tripod baseplate instead? A little circumstantial example maybe, but I hope you can see what I mean. * Since, let's be real, we are not Peter Lik, and even for him, I'm pretty sure million dollar images are few and far between. A good lightweight tripod with ball head by manfrotto, great for travelling. Camera supports come in all shapes and sizes, and each one has it's own specialty. In fact, it's so basic to your survival as a photographer, I debated whether or not it actually belonged within this list of "Behind the Scenes" gear. But it really does. Like the old saying goes, 'use the right tool for the job'. 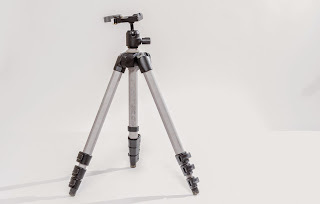 If you're hiking 15km days in the wilderness back to back, the right tripod might be an ultra-lightweight one, or if you're shooting macro it could be the heaviest and sturdiest tripod you can find and if you're shooting video you'd likely want a different tripod than you'd be using for stills, and if you're shooting stadium sports, maybe you want a monopod. Support isn't always just for your camera either, it can be used to hold a number of things, like strobes. I use gorilla pods and manfrotto clamps religiously for my flashes when on most locations. Lightstands can be bulky, trip others, and just generally get in the way - but what if you could use that tree branch as your light stand for the next portrait shoot you have? The tree won't mind helping! A roll of gaffer tape. A roll of twist tie. A good pen and notepad for ideas and to-do lists that pop into your head in the field. Dedicated battery chargers - if you need to charge your battery while its in the camera, thats time written off when you can't be shooting. Color Correction gels for strobes, because that strobe will make everything blue when you try to blend it with indoor ambient. So, there you have it - a short list of the often forgotten important pieces of camera gear that can spell success for you, or an exhibition of frantic unprofessionalism at your next shoot. If you don't have all of these, I recommend you work on getting them, or at least the ones that seem like they can help you in your style of photography. Do you think I missed something from this list? There's no reason why these five can't become six, and so on. Drop a line in the comments and let me know what is your MVPiece of camera gear.